District: Rhode Island’s 1st, which includes Bristol County, Newport County, and Providence County. We’re moving in the right direction, but we’re not where we need to be yet. We’ve seen encouraging signs that the private sector is beginning to create jobs again and American manufacturers are now growing at their fastest pace in years. Since President Obama took office, he’s cut the federal deficit in half. In the past three and a half years, businesses have created seven and a half million new jobs. It’s critical that Congress promote this progress by passing a comprehensive jobs plan. Our country has started to turn the corner, but there is still work left to be done to promote this economic recovery and make sure that hardworking men and women across this country can find good-paying jobs to support themselves and their families. Rhode Island was one of the first states to enter the national recession, and today we are continuing to struggle with high unemployment. My first priority is to create good-paying jobs for middle class families in my district by reinvigorating manufacturing, strengthening small businesses, promoting workforce training, and investing in local infrastructure projects. That’s why I’m working to advance the House Democratic Make it in America agenda to reinvigorate our manufacturing sector with bills like my Make it in America Manufacturing Act that would support small-to medium-sized manufacturers with targeted federal resources to help retrain their workers and retool factories to compete in the 21st century global economy. I’ve also worked to bring funding back to Rhode Island to invest in local infrastructure projects that put hardworking men and women back on the job today. There’s no question that Washington is broken right now in large part due to the Tea Party members that have hijacked the House Republican Caucus. We’ve seen this several times – most notably when they shut down the federal government a few weeks ago. Lurching from one crisis to another is no way to govern our nation. It undermines our credibility around the world and continues to put our economic recovery in jeopardy. I think the American people recognize this for what it is, and I’m confident that when they go to the polls next November, they’re going to hold accountable those who have obstructed progress by voting them out of office. Since 2011, Congress has failed its responsibility to get things done for the American people – look at any major issue, from job creation to gun violence prevention to immigration reform, and you’ll see that Congress has allowed partisan differences to prevent real progress. A large portion of the House Republican caucus is made up of members of the Tea Party – folks who came to Washington promising that they’d refuse to work with members of the other party and just a couple weeks ago they shut down the federal government. I think it’s clear that this model doesn’t work and members of both parties have to be part of the solution. We have to fix what’s broken in Washington – that’s why I’m a member of the bipartisan organization No Labels that is working to build trust and cooperation across the aisle. Democrats and Republicans need to start working together to find common ground rather than using every issue to score political points. Absolutely, hearing directly and frequently from my constituents is by far the most important aspect of my job. 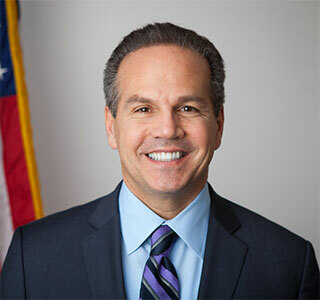 I send my own Tweets (@DavidCicilline) and make sure that my staff updates Facebook and our website regularly with information about the work I’m doing in Washington. We also regularly send out e-newsletters to constituents about what I’m working on in Washington. My office also organizes telephone town hall events so I can discuss issues with constituents even when I’m in Washington. Constituent communication enables me to be more informed about the decisions I make and what priorities I should focus on in my role as an elected representative. I encourage constituents to use social media and email whenever possible to share their opinions and concerns with me. I’ve also started using a new mobile phone application called Capitol Bells (http://capitolbells.com), which provides real-time vote updates from the House floor and allows constituents to instantly weigh in on current legislation. This application allows me to be even more informed about how my constituents would vote on an issue right before I head down to the House floor to cast my vote. Rhode Island has a thriving Greek and Armenian community. I first worked with them during my time as a state representative in the Rhode Island General Assembly, and I continued to build these relationships during my time as Mayor of Providence. It is impossible to not be close with the Greek-American community given the influence of Rhode Island’s legendary Representative George Panichas. We also have State Senator Lou Raptakis. And my chief of staff is also a Greek-American. As a member of the House Foreign Affairs Committee and the Middle East and North Africa Subcommittee, I’ve had more of an opportunity to focus on the reunification of Cyprus, recognition of the Armenian Genocide, and other important issues to the Greek-American and Armenian-American communities. I also recently joined the Congressional Hellenic-Israel Alliance, which is committed to strengthening the relationship between Greece, Israel, Cyprus and the United States to help maintain economic and defense stability in the region. Most importantly, I’m grateful for the support I’ve received from our Greek-American and Armenian-American communities in Rhode Island over the past two decades and proud to stand up for their interests in Washington. The unlawful invasion and occupation by Turkey has displaced thousands of people and created grave human rights issues. I support a diplomatic end to the issue, and I commend the constructive approach the Cypriot government has taken towards negotiations, including the Confidence Building Measures regarding Famagusta. In hopes of addressing these issues, I have cosponsored legislation to recognize the challenges facing Cyprus. I have cosponsored a resolution sponsored by Representative Ros-Lehtinen (R-FL) expressing support to end the 39-year-old division of the Republic of Cyprus, and a resolution sponsored by Representative Bilirakis (R-FL) expressing the United States commitment to the reunification of the Republic of Cyprus and the establishment of a unified government on Cyprus that guarantees the human rights of all. I am absolutely concerned about threats from Turkey in the Aegean Sea and in the Exclusive Economic Zone of Cyprus. Any and all disputes of sovereignty pose a potential threat to peace and stability, and we do not need any countries unnecessarily raising tensions in the Mediterranean. We should have every expectation that Turkey plays by the same international legal rules – in this case, the International Law of the Sea – which we comply with. I have been a consistent supporter of religious freedom all around the world, and have definitely had concerns about the treatment of the Greek Orthodox Church in Turkey. When Secretary Kerry testified before the House Foreign Affairs Committee in April, I submitted questions for the record relating to this issue. Specifically, I wanted to know whether this issue was on Secretary Kerry’s agenda of issues to address with Turkey. In his response, Secretary Kerry noted that the Turkish government’s return of property surrounding the Seminary to the Church in January was a positive step, and that the U.S. government will continue to encourage the government of Turkey to work cooperatively with the Ecumenical Patriarchate. I am discouraged that the Turkish government’s recent democratic reform measures did not include the opening of Halki Theological Seminary. The United States has tried to play a constructive role in the dispute, and, like other United Nations members, plans to accept any agreement reached by the two parties. I am hopeful that we will see a swift resolution to the name dispute so that FYROM may join NATO and be an active and contributing participant. It is imperative that we impress upon FYROM the need for it to negotiate in good faith with Greece, because the position of the United States and NATO is that it will not be offered membership absent a mutually acceptable solution to the name dispute.